CCI/Canada has things to say. 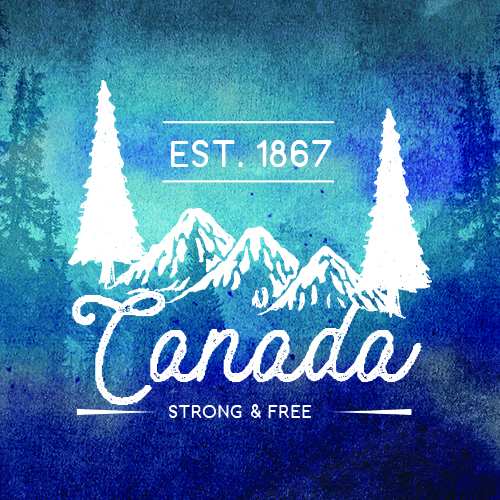 | Stories, resources, news and musings from CCI/Canada. CCI/Canada has things to say. Stories, resources, news and musings from CCI/Canada. 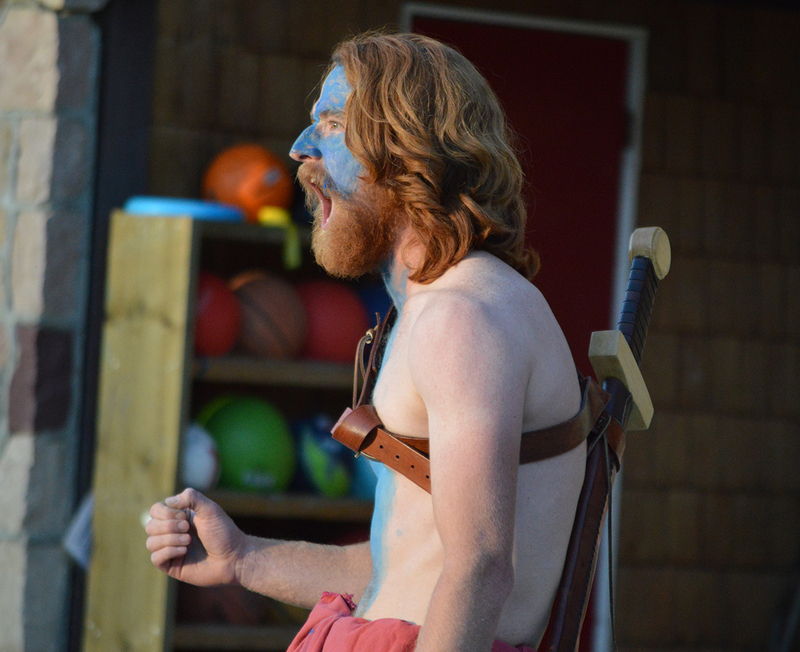 Based on the Braveheart movie, and the premise that there’s a war and the underdogs need to rise up and fight, the possibilities for rallying the troupes (campers) and getting totally into the game (costumes, warpaint, even bagpipes!) are endless! Have enough so that the entire camp can be divided into two teams. Alternatively, you could use pieces of fabric, bandanas, or something similar. 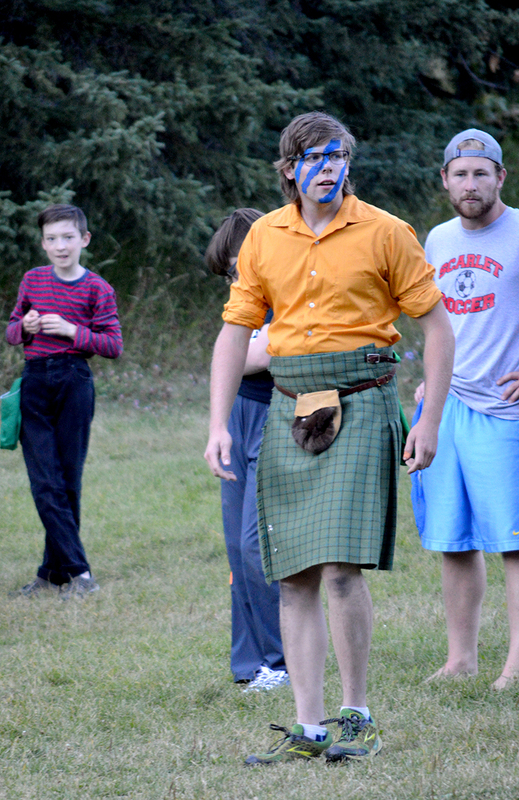 Have some of your staff dress up in attire that would represent the Braveheart movie – kilts welcome! Really get the kids into it by preparing their faces for battle. Be creative! Use horses if your camp has them to re-enact a rallying scene from the movie, get wooden or foam swords to bring the scene to life, or even have some background music to amp up the intensity. Go all out – the kids will love it! To be the last team standing. Each player will receive a pinnie in their team’s colour. They tuck the pinnie into their pants or belt or pocket making sure to leave at least two-thirds exposed. Each team will line up on a field facing each other. Teams run toward each other on the field. At this point, their goal is to pull pinnies off the players on the other team. They may never move backwards, only forwards, so when the two lines cross they will end up on opposite sides of the field. If a player’s pinnie is pulled, he or she is “dead” and must sit down on the field where they “died”. They are not, however, fully out of the game! While on the ground, they are able to still pull pinnies from the other team as they run by, but they may not move from where they are sitting. Continue to repeat the battle cries and running at each other across the field. There will be more and more casualties which will mean that the people who are “dead” and sitting on the ground will become more and more of a threat to the runners. When there are only a few players left standing/running, tell them that there will now be no “safe zone” and that they all must continue running on the battlefield wherever they want to go until only one is left standing. Often, at this point, it’s the people on the ground who are most helpful to their team! Get both teams back up and play again. This game can be played over and over again as kids that were unable to make it very far the first round will have another chance to try again. Pinnies should be tucked into the sides (not the front). As a player runs, they may not cover the pinnie with their hands, hold the pinnie to their bodies, or in any other way impede another player from grabbing the pinnie. Players may not tie the pinnie to themselves. If a pinnie falls out, for whatever reason (too loose, a player from their own team grabs it, etc.) they are still “dead”. It is very important that players never run BACKWARDS during battle. As a final note, this is one of those games where the more amped up you make it, and the more into it the staff are, the better it will be! So, be creative, have fun, yell loudly, and fight hard! They may take away our lives, but they will never take away OUR FREEDOM!!!!! 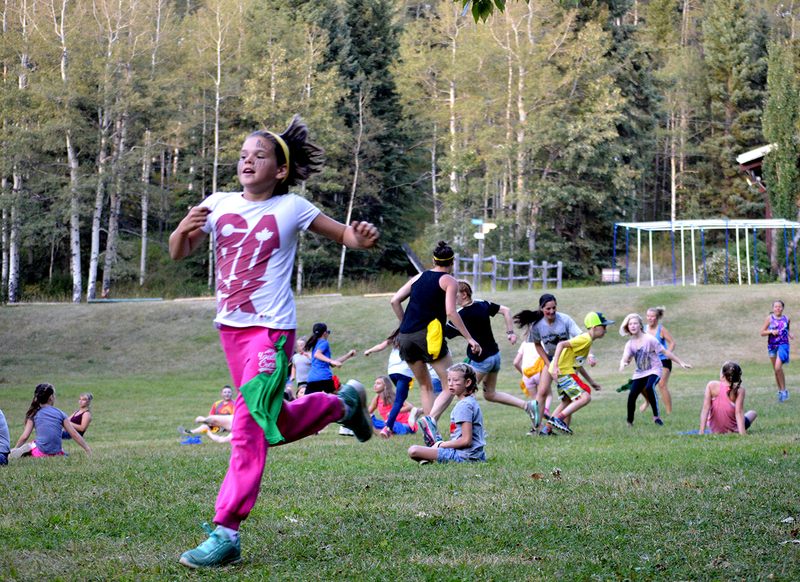 Wide games are always such a fun part of the camp experience – I mean, how often do you get more than 20 kids (sometimes even hundreds!) together to play a giant, epic game?! 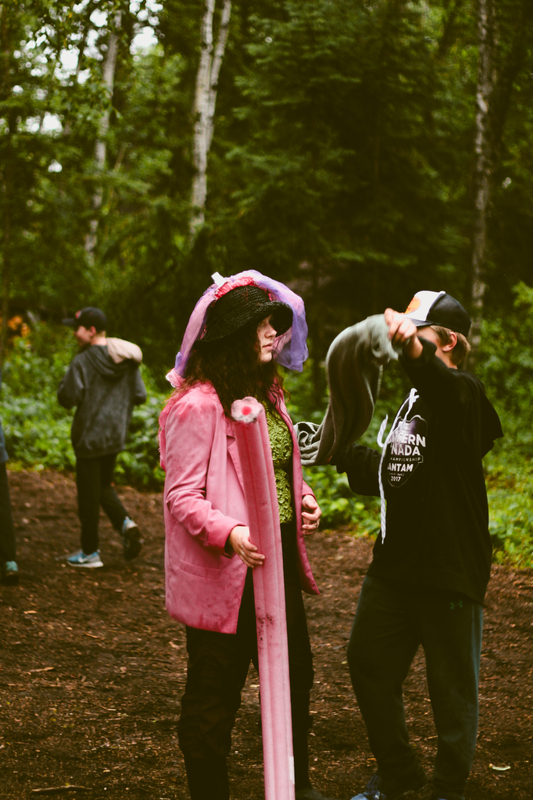 Our friends Dan and Amy at Camp Kadesh in Saskatchewan have been dreamin’ and schemin’ wide games for many years in their role as Program Directors. They’re super passionate about big group games and love to bring them to life! We are excited to get to share one of Dan and Amy’s games with the CCI/Canada family in this blog. Can really be made out of anything – in this case, they used Plastic bucket lids painted red with an X taped on it. Pokemon use these to defend themselves. Each Pokemon carries these small slips of paper with them. 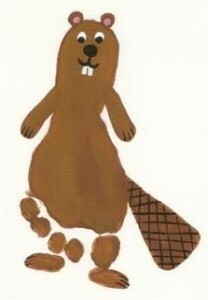 When they’re caught by the campers, they give them a card to symbolize their capture. These cards are ultimately worth points. Acquiring the cards of all of the Pokemon in a single category (ie. all grass Pokemon). Cards can be acquired by catching or by trading. Acquiring the cards for EVERY Pokemon in the game. Campers travel as a cabin group. When they see a Pokemon, they can throw a Pokeball at it. If it hits the Pokemon, the Pokemon will freeze for 5 seconds. While a Pokemon is frozen, the campers must wrap their beach towel fully around the Pokemon to capture it. Camper attempts to capture a frozen Pokemon by wrapping it in a towel. If, however, the Pokemon hits any of the campers with a pool noodle, they become frozen. The only way they are able to be unfrozen is by being tagged with the Medic Disk. Pokemon cannot be captured while any member of the group is frozen. So whoever holds the Medic Disk must go around tagging those who got hit by the pool noodle. Note: Pokemon can be caught by the same group MORE THAN ONCE. Ex. If Pidgey is worth 1 point, and a cabin catches the Pidgey 3 times, they would acquire 3 Pidgey cards. This would be worth 3 points at the end of the game. Set up a “safe zone” where groups can come to trade cards with each other. Because they’re able to capture the same Pokemon more than once and there is an advantage to having all of one type and all of the Pokemon in the game, groups will likely want to trade with other groups to get them all registered in their Pokedex! 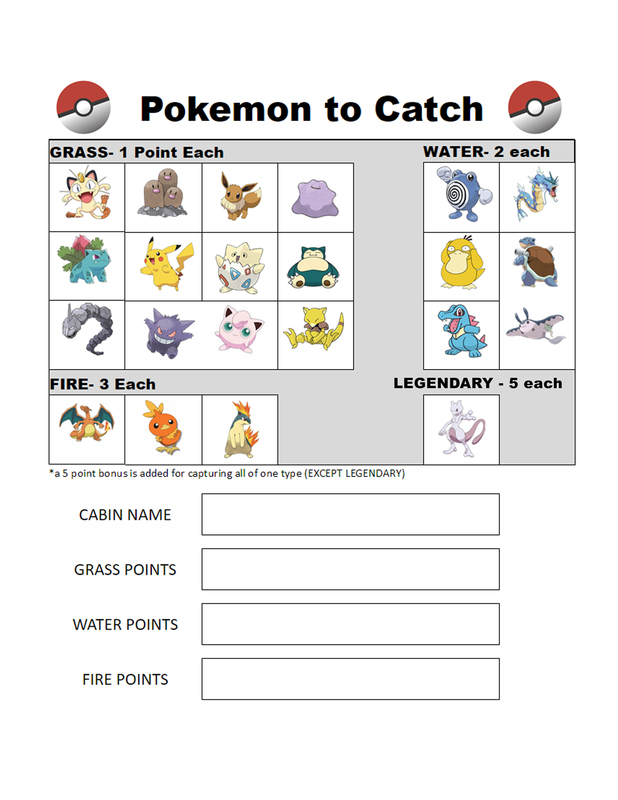 Release a “Legendary” Pokemon into the game! Make sure that this Pokemon is fairly elusive and is worth a decent amount of points if captured! Have each group hand in their Pokedex and all of their Pokemon Cards. Tally each group’s points to determine the winner! Check out these fantastic photos of Pokemon Go in action! 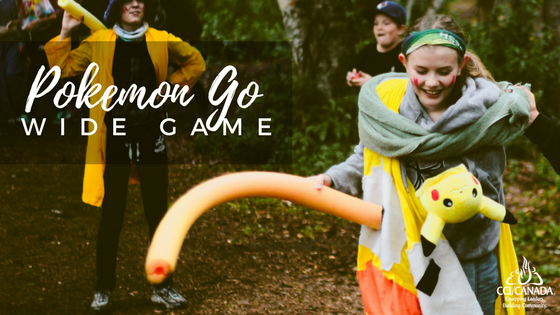 Campers try to catch wild Pokemon all over camp. To freeze a Pokemon, campers must hit them with a Pokeball. A Pokemon about to get caught! You know that bullying is wrong. Your staff also know that bullying is wrong. You know that you’re responsible for the health and well-being of hundreds of children (a monumental and admirable task!). 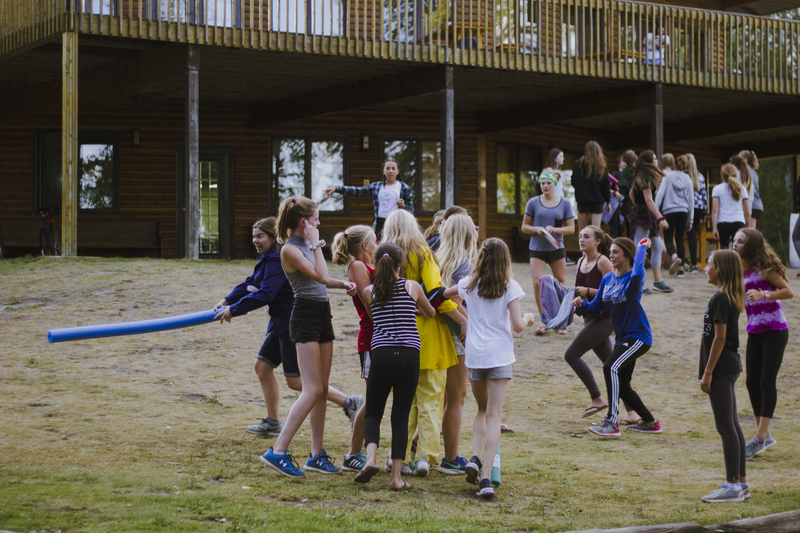 You trust your front-line staff – the Cabin Leaders, Activity Leaders, etc. – to continue this work of providing a safe and positive experience under your guidance and leadership. 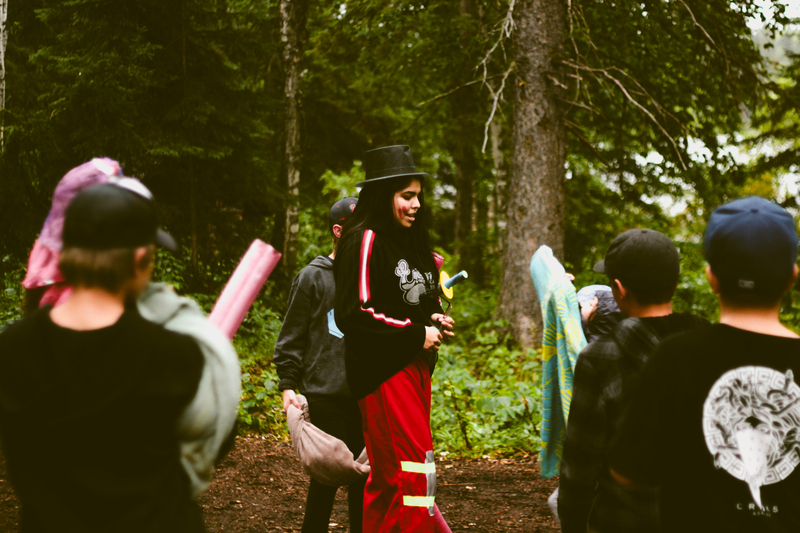 Unlike other jobs where a poor customer experience may simply end in an individual not returning to the store or a negative review on Facebook, a bad camper experience has the potential to impact that person for the rest of their lives. Just as we’re writing you to remind you about the realities of bullying in our world and in our camps, we hope you will take this opportunity mid-summer to chat with your staff about this topic as well. Is it deliberate/intentional? Are the camper’s actions toward another camper done on purpose and with malicious intent? Is it repetitive? Is the one camper consistently and repetitively directing his/her actions toward one other specific camper? Is there an imbalance of power? From an outside perspective, does the actions of the one camper put them in a position of power over the other camper and could that other camper be seen as vulnerable by the bully? Prevent bullying by being a rolemodel: use inclusive and positive language and encourage the entire group/cabin unity through actions and words. Playing get-to-know-you games or having a cabin theme/chant/bandanas/bracelets, etc. are some ideas to unite them as a team. Let the campers help design the rules. Ask them what rules they think should be in place and then ask if everyone is in agreement. Ensure that everyone has a chance to participate in the rule generation conversation. Write the rules on a piece of paper or poster board and have the kids all sign it. When someone is being disrespectful or when teasing etc. begins, point out the rules that they all made up and signed and ask them to follow it. 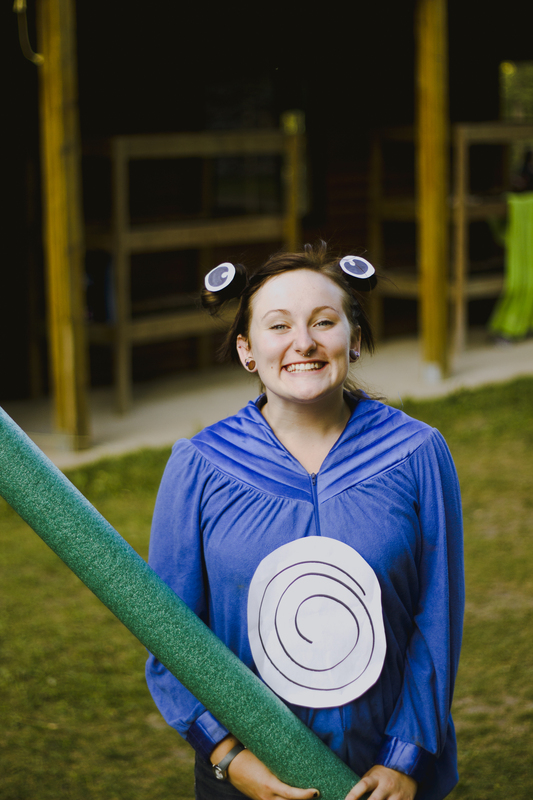 Be intentional and conscious of which campers may appear “vulnerable” to their peers. This could be children who are extra shy, are different in appearance or skill level, have a disability, etc.Counselors, when they’re looking for it, should be able to figure this out fairly quickly and can then be intentional about quickly befriending that camper and including them in the group. If a child approaches a staff member and says that they feel bullied, LISTEN. The child is reaching out for help and this should not be dismissed. If they feel like it’s a negative situation, it is the staff’s responsibility to help them and not judge the child. Don’t decide that they are incorrect and it doesn’t need to be dealt with. The camper needs to feel safe at camp so something needs to change. If bullying happens, staff need to speak up. Tell them it’s ok to verbally stop the dialogue by telling campers that it’s not ok to speak negatively about another camper at camp. It will get awkward. 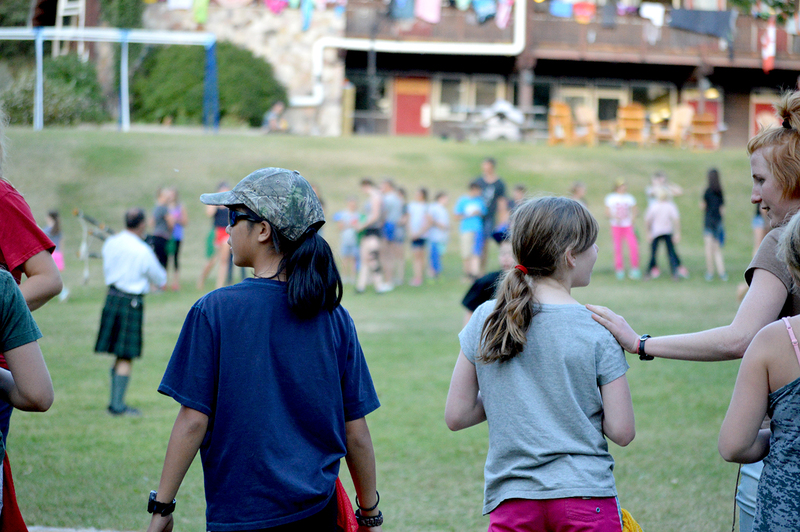 It’s not comfortable to say something that causes conflict or might be an unpopular opinion, so prepare your staff by telling them that even though their comment may seem abrupt, it is necessary to go through this small amount of discomfort to ensure a safe and positive environment for their campers (the ultimate goal). Also let your staff know that this is what you expect from them. When you become aware of bullying, supervise, supervise, supervise.It’s always a bonus when the kids get along and the cabin or group is “easy” to supervise, but when it’s not, even though it’s more difficult, it’s still the staff’s job to watch the campers and ensure they have a good camp experience. Remind them of this and encourage your staff to ask for help in this area. 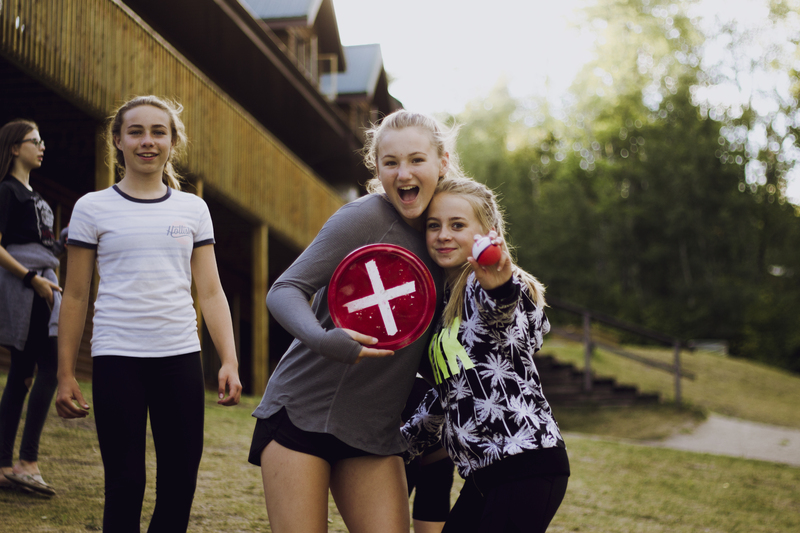 Tell them to approach a program leader, director, or coordinator (whoever would supervise them at your camp) to tell them about the situation and together set up a plan to make sure the children are supervised. This may involve informing other counselors who will also have the responsibility of diffusing bullying situations. Mitigate the bullying by keeping the campers separate. This doesn’t have to be obvious (like changing groups or cabins necessarily), but it can be as simple as a counselor sitting between them or ensuring that they sit at opposite ends of the table in the dining hall. Do you have other suggestions for how to deal with this? We’d love to hear them and share them with our CCI/Canada friends! Send us an e-mail atcommunicate@cci-canada.ca. To save an image, right click and then hit “Save As…”. On a mobile device, hold down the image and when prompted, choose “Save”. 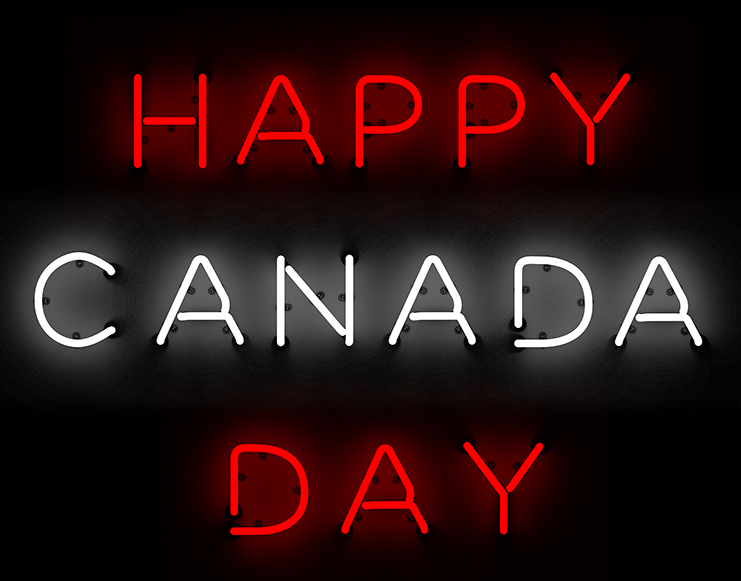 Enjoy and have a fantastic Canada Day! At camp, we love having reasons to celebrate! 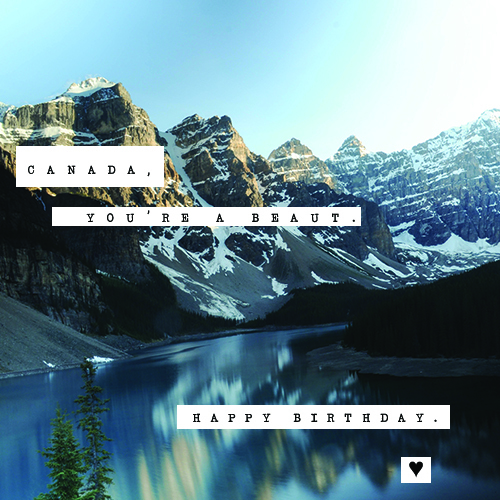 And what better reason than to celebrate the birth of our beautiful nation with Canada Day! 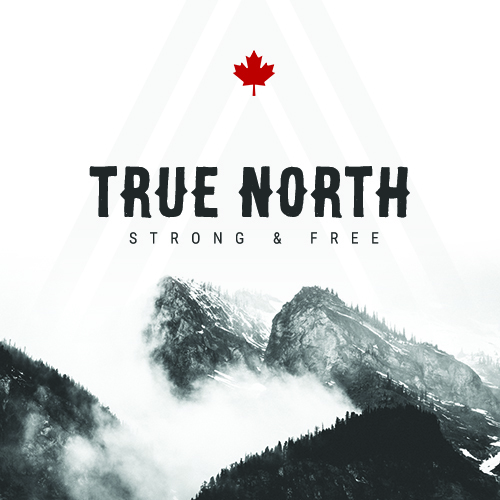 Since Canada is celebrating its 150 years, I really wanted to put together a list of 150 different Canada Day activities, but I felt like that might be really overwhelming (and also that’s so many!). 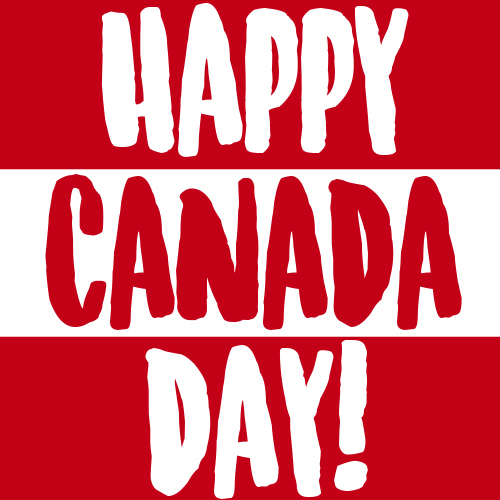 Instead, I’m going to focus on 10 great camp activities for your campers or staff to enjoy Canada Day to the max! Crafts are classic, aren’t they? 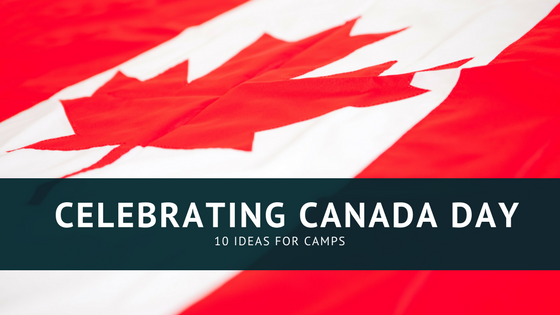 Here are a few ranging from pretty basic to more advanced that will put your campers into the Canada Day spirit! 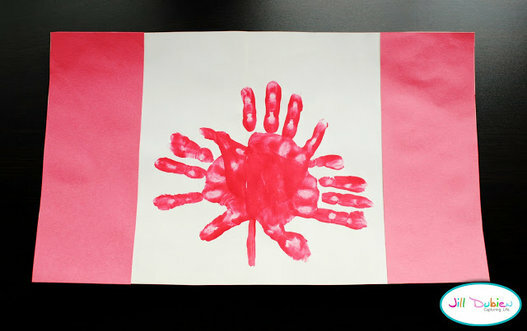 Bust out the finger paint for this activity: Canadian themed murals! In this activity (originally seen here), a little bit of mess and a lot of creativity is encouraged! Ask you campers to dive right in (ok, maybe just with their hands and feet) and create some of Canada’s most iconic symbols with their artistic finger painting skills! I bet there will be a lot of unexpected results that could require some hilarious interpretation! I feel like a lot could be done with this one: a mini version of ICE HOCKEY! With real ice! The instructions for this one are pretty thorough and create a nice mini version of a tabletop hockey game, but perhaps this can be transformed into a slightly bigger version! Maybe air hockey style pawns and disks could be used! What about freezing in some other obstacles just to mix things up? Maybe make a tin foil Stanley cup and have a tournament to determine the camp mini ice hockey champion! 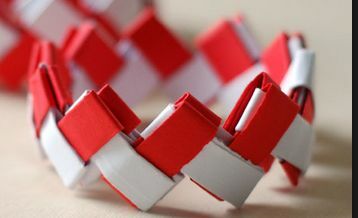 Show your Canada pride all day long with these simple paper bracelets! The instructions here show exactly how to fold them. 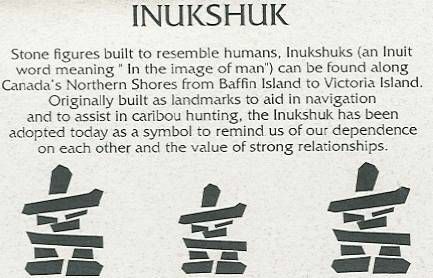 Take a look at what Inukshuks are and why they exist – explain these to the campers and ask them to make their own! If you have a lakefront with lots of rocks and pebbles, kids can head out with a bucket to collect the best rocks they can find. If you don’t have a lake, maybe try using other materials (logs, bark, etc). 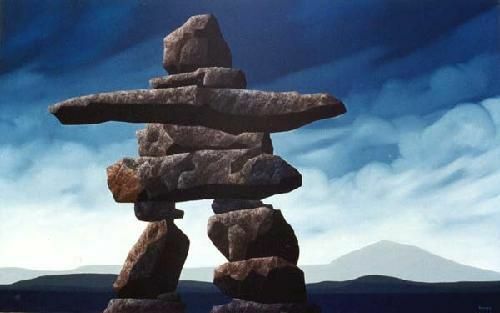 You can get the kids to glue them together as a keepsake or they can try to balance the rocks on themselves. 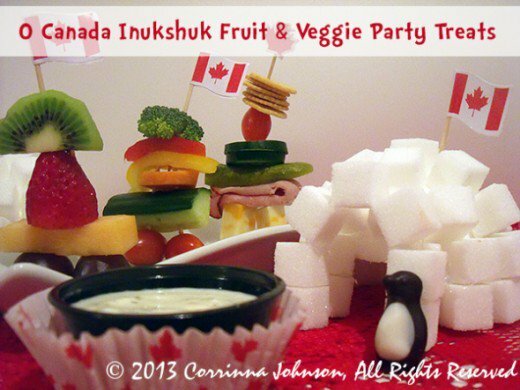 Food Inukshuks It’s a fun Canadian way to present food to the campers! 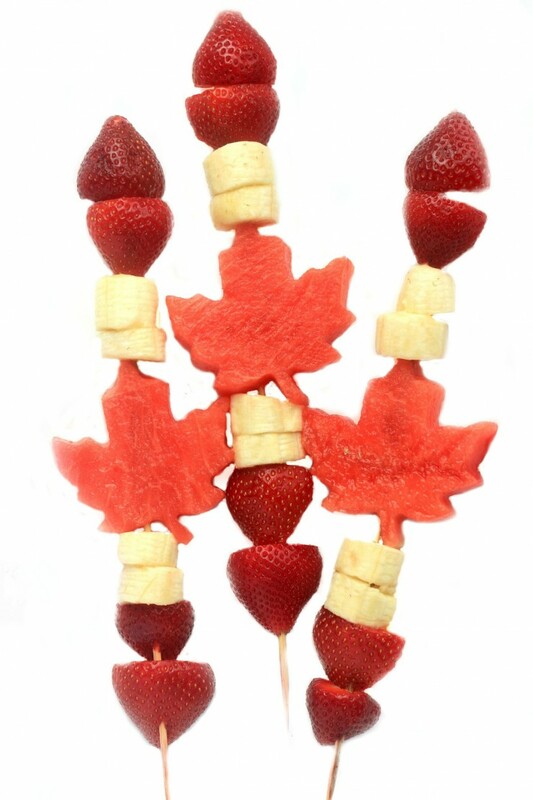 Canada Fruit Kabobs It’s like a Canada flag on a stick! Also, it’s healthy. 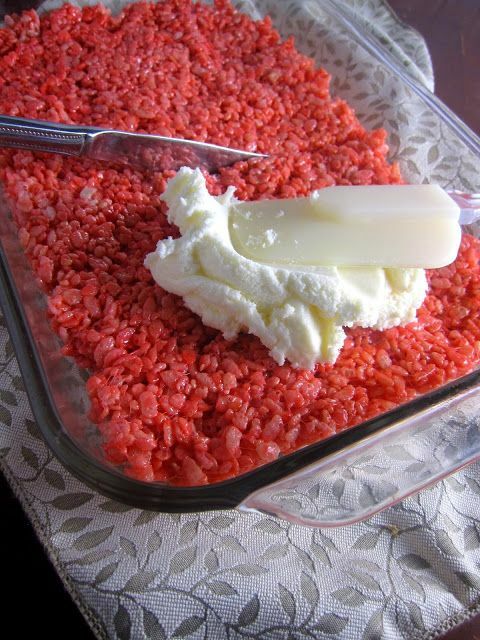 Rice Krispie Treats Really, any red and white food – but these look delicious! 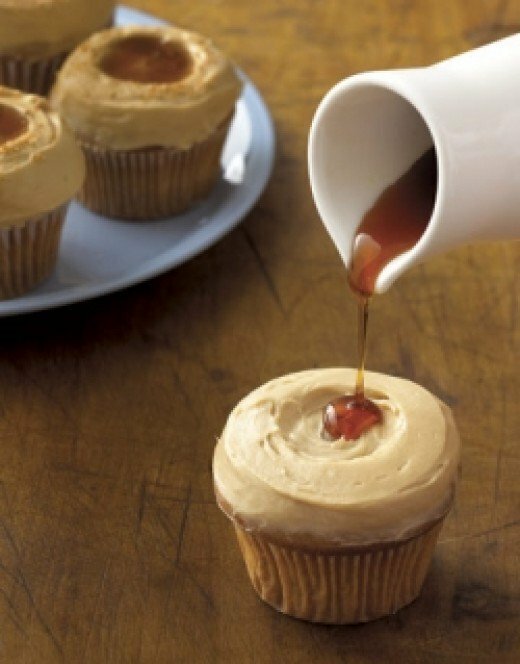 Maple Cupcakes (or Maple ANYTHING!) 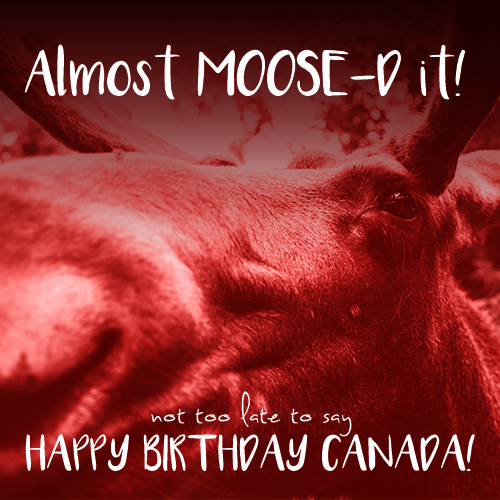 Yum yum yum…maple is a pretty classic Canadian flavour. You could do cookies or muffins, or even just have Canada Day pancakes in the morning! 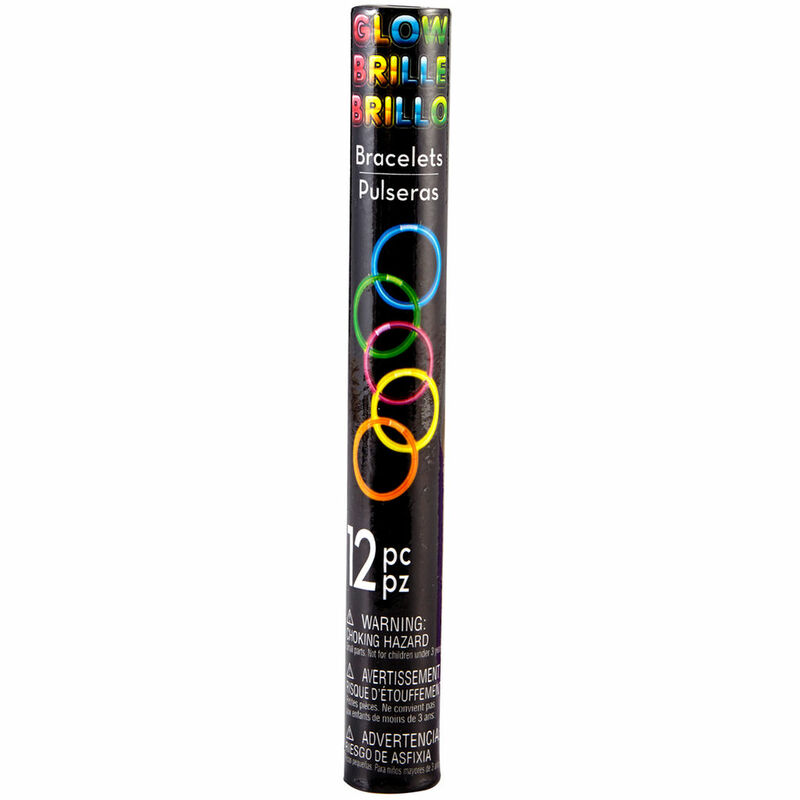 Honestly, I love glowsticks for just about any occasion and Canada Day IS an occasion! You can get packs of 12 for $1.50 at Michaels Craft Stores (usually near the till) or a GIANT tube at Party City with 180 for $20. 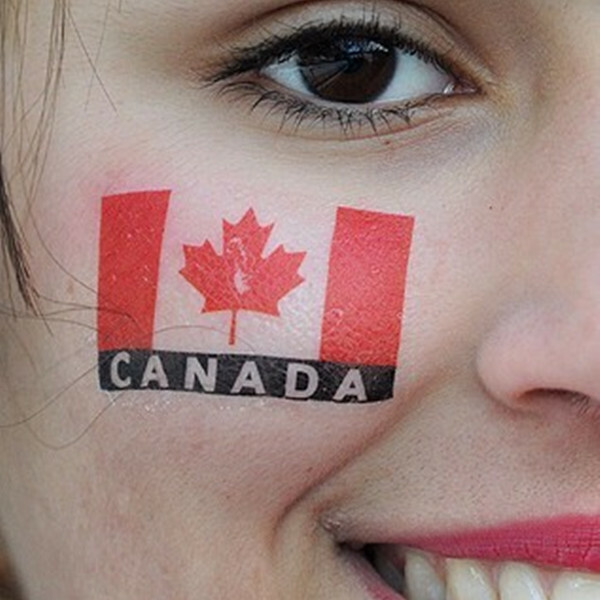 In the span of only a few seconds, a bunch of temporary tattoos, some scissors, water, and paper towel, your entire camp could be ready to celebrate Canada Day in style! You can usually get these temporary tattoos at the dollar store or London Drugs. It’s an easy way to make everyone feel like they’re included and a part of the festivities! 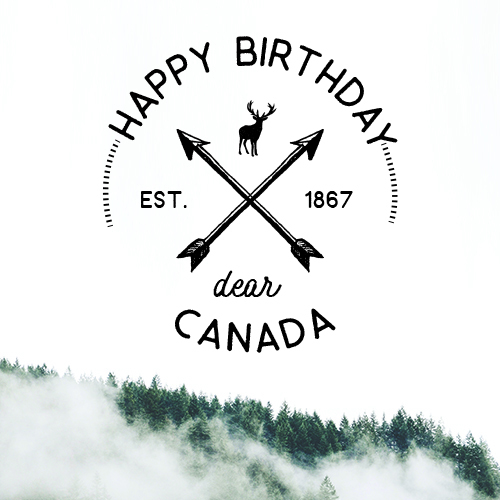 How does your camp plan on celebrating Canada Day? Do you have any special camp traditions for the first of July? We would love to hear about it in the comments! As a Camp Director or Horsemanship Coordinator, winter is generally a slower season for activities that involve our horses. Depending on your camp set up, it’s possible that the responsibility of feeding and daily care of the horses is delegated to a “caretaker” over the colder months. Sometimes, the caretaker is simply a staff member who is around enough to take care of these tasks, and they may not have too much interest or experience with horses to begin with. What is the best way to make sure that your horses stay safe and healthy, and set your caretaker up for success without being forced to turn into a “horse person”? As people who have invested in our herds, learned about horse health and gained experience in this area, it is easy for us to overwhelm workers with excessive knowledge when, in reality, they just need to use basic observational skills and be aware of a few horse-specific signs of injury/poor health. When delegating this important task, set your caretaker up for success. First, give them a few simple things to look for while they are taking care of your herd (more on that, below). Second, make a plan that includes a “next step” contact person – this can be yourself or another senior staff member who has more experience with horses. A vet is not an ideal contact person for this, as it is intimidating to call a vet about a suspected injury – especially as a person with less horse experience. The contact should be someone that the caretaker is comfortable calling and talking to; remember that it’s better to hear about a bunch of silly cuts and bumps rather than not hear about something that could be very serious. Lastly, know what a “win” is, and communicate this to your caretaker. You can’t expect them to a) know what colic is b) diagnose it and c) deal with it. You CAN, however, expect them to call you after they notice that a horse is behaving differently than the rest. That phone call is the win here. From there, you can ask more questions and determine a course of action to help the horse if it is necessary to do so. Setting expectations and a definition of what success looks like before the task is given to your caretaker will allow both of you to be on the same page and will set up a positive process regarding the care of your herd. In keeping information as simple as possible, here are some signs that your caretaker can look for based on their natural senses. This should come pretty naturally, as in any animal, seeing blood is not a good sign. You can explain that if the wound is very small and has already dried/scabbed and looks clean that it is not as much of a concern. If possible, show some examples on your horses of little nicks and scratches. Remember to have grace and patience for your caretaker – they are learning and gaining experience and together, your mutual definition of success is noticing and reporting any abnormalities. We know that limping can be caused by a range of underlying injuries, but explaining each of these in detail to your caretaker will not benefit them. Let the caretaker know that a limp is a sign that you want to know about, and tell them how to spot it – the horse will walk differently than the others and its head movement will appear exaggerated. Tell them to watch for a few minutes and if it’s continual (and not just the horse tripping and recovering), they should call you. That’s a win! You can talk them through anything else from there. Each horse carries their weight slightly differently, but there are a few things that your staff can look for to make sure they’re healthy. Teach them to look in the area of the horse’s ribs for weight loss. As a caretaker, your staff will likely not have the experience required to quickly determine what is a normal weight for each and every one of your horses, and often weight gain or loss occurs over a period of time. Show them what a normal weight looks like and then simply encourage them to call you if they think a horse has gained or lost weight. Your staff should know what normal excretion looks like for a horse and take note of anything out of the ordinary. Diarrhea or urinating issues are signs that you are going to want to know about. Remember, you don’t need to go into details of what it means if a horse has any symptoms, just drive home the point that they need to call you if they see these things. *It is a fairly common occurrence in the winter to notice what appears to be red urine on the ground. This happens as a result of a chemical reaction between horse urine and the snow and is no cause for alarm. If, however, your staff sees pink or red urine coming out of a horse, they should know to alert you. If, after checking the herd out visually, there is a concern of injury, you can tell your caretaker to feel if the area is warm. This may be difficult during the winter, but if they compare the injured area (for example the knee), with the opposite knee, a significant difference in temperature could indicate a problem that should be looked at. Some bacterial infections cause a horse to have an unusual odour. You can let your staff know that an odd smell can be a sign that something is not right and ask them to call you if they notice it. These auditory cues are important to take note of and look into further. Allow your staff to take ownership of this task. Empower and encourage them that they are the ones who are being entrusted with this important task to take care of your camp’s valuable animals. Regardless of whether the staff member has an interest in horses or not, providing them with the right tools, taking the time to explain a these tips clearly, and giving them a simple plan for getting assistance when needed will set them – and your horses – up for success this winter. The past couple of days have been a whirlwind for everyone here at the conference. There are over 160 hours of education going on, plus exhibits, plus networking, plus special events — everyone is really busy, and everyone is having a really great time. Yesterday was a full day of electives, intensives and institutes. There were levels of learning to suit every participant. From multi-day sessions on one topic, to 75-minute electives, everyone had a lot to learn! Here at the Member Services Area, I enjoyed meeting new people, getting to know new friends, answering questions about CCI/Canada and giving away all our sweet swag. After a long day of educational sessions, everyone was treated to a night out on the town. Buses took us all to the historic Gaslamp Quarter, where everyone was free to wander at their leisure and get dinner at any of the huge selection of interesting restaurants in the area (we ate at an awesome Mexican restaurant). After dinner, everyone met again at the incredible Balboa Theater for an evening of worship with Danny Oertli, entertainment by comedian Taylor Mason and an inspiring message from Sheri Rose Shepherd. This morning, things are wrapping up as everyone attends their final sessions. In just a few minutes’ time, everyone will gather in the Atlas Ballroom for brunch and our final General Session with Bryan Loritts. It will be so sad to see everyone go, but we have been so blessed to have this time to come together as such a strong group of people working in camp ministry. We hope you’ve learned a lot, met some new friends and are coming away from this conference with a new arsenal of tools to use at your camp. And we hope all of your ministries will be blessed as you enter the new year, feeling strong and courageous to truly innovate at your camp! Enter your email to subscribe to this blog, so you'll know when we post awesome new things! CCI/Canada exists to champion the Canadian Christian camping experience. 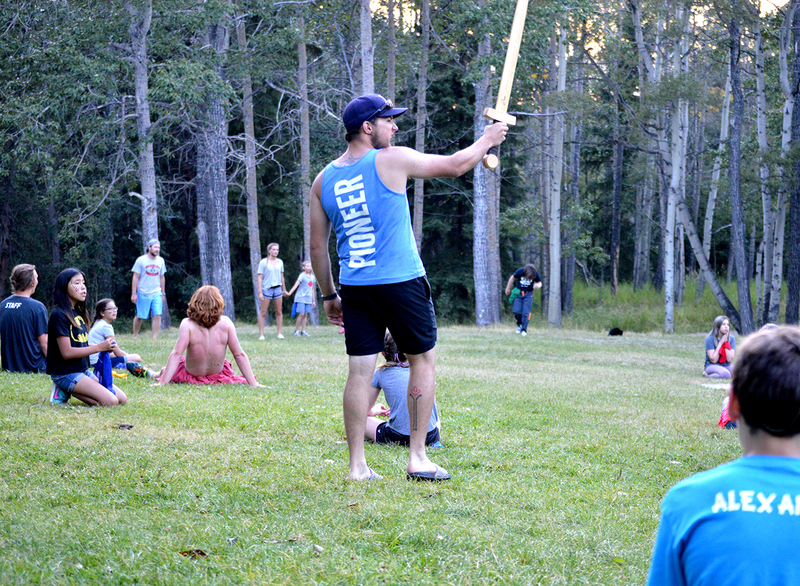 We aim to develop and equip camp leaders so that camps can keep on changing kids' lives.